Capcom releases Monster Hunter: World for PC which is now available on Steam for $49.99. First released for consoles, the PC version offer support for higher resolutions and 60 FPS gameplay along with other PC-exclusive features. Monster Hunter: World has over two dozen graphics settings with a wide variety of control and configuration options for gaming PCs. The higher performance PCs can offer over consoles allows PCs to have better visual fidelity and fluidity such as playing at 60 FPS since consoles can only offer between 30 to 45 FPS and lower graphics quality. NVIDIA tested all configurations using the Founders Edition model of the GTX 1070, GTX 1080 and GTX 1080 Ti and an Intel Core i7-6700K processor. At 4K resolution, NVIDIA found the game very demanding with its i7-6700K and Founders Edition GTX 1080 Ti only averaging at 38.2 FPS and lows at 32 FPS. Hence, NVIDIA recommends setting the “Resolution Scaling” setting to “Variable (prioritize framerate)” that will allow dynamic adjustments as you play without downscaling the display resolution. 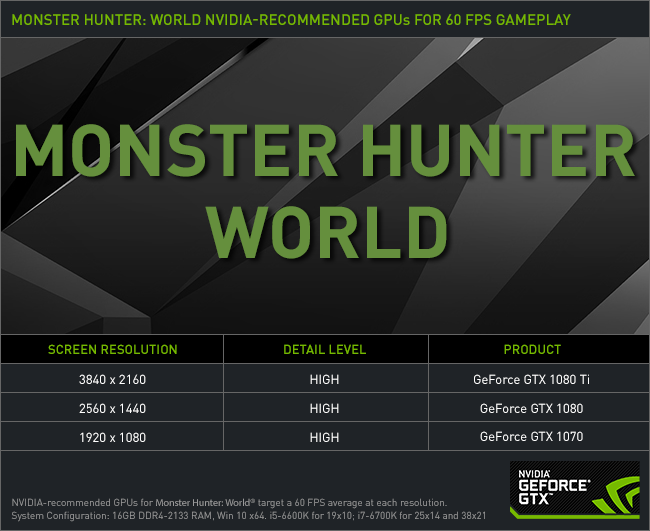 For more information on NVIDIA’s recommended GeForce graphics card for Monster Hunter: World, click here. 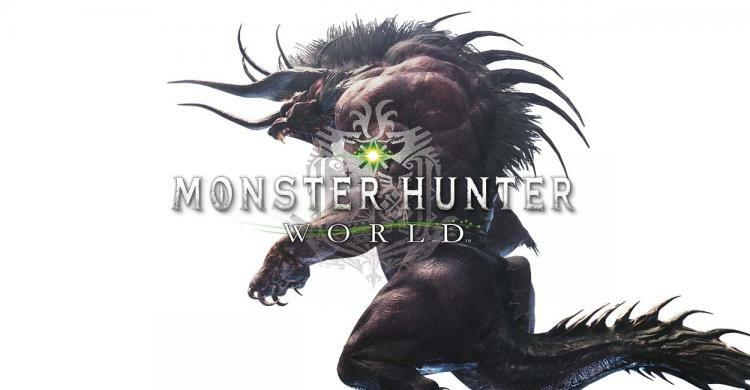 Check out Monster Hunter: World on Steam.